The Forum has officialy started with the cocktail reception and concert at the Gallery Matica Srpska in Novi Sad on May 11th, 2016. The cocktail reception and music performance titled “Pannonia Boundless” was presented by TAJJ, the most prestigious Serbian string quartet (Aleksandra Krčmar Ćulibrk – first violin, Jovanka Mazalica – second violin, Jelena Filipović – viola, Timea Kalmar – cello). 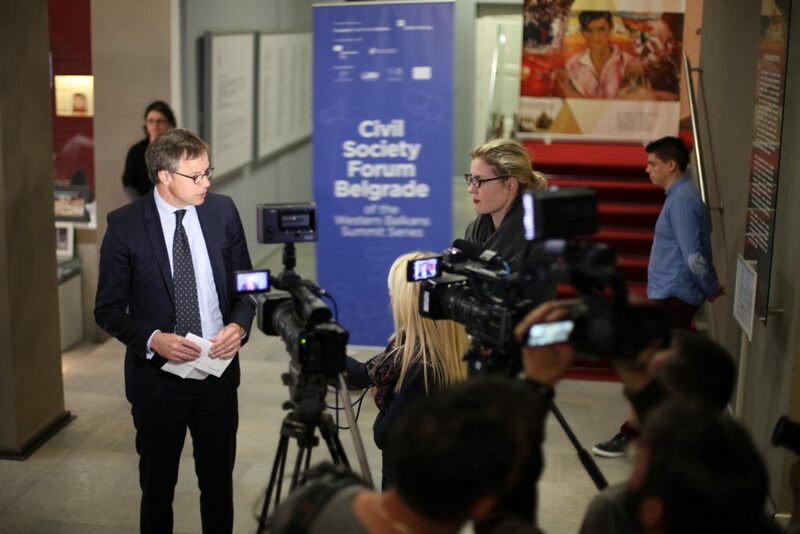 Aleksandar Simurdic (European Movement Novi Sad), Hedvig Morvai (European Fund for the Balkans) and Filip Radunovic (ERSTE Foundation) as hosts of the whole event welcomed the guests, sharing their high expectations for the upcoming activities in the agenda of the Civil Society Forum Belgrade. The opening remarks given by H.E. Axel Dittmann, Ambassador of the Federal Republic of Germany in Serbia and Sabine Kroissenbrunner, Deputy Head of Mission, Embassy of Austria in Serbia, accented the role of the civil society as a crucial element, not only in the Berlin process, but in the general terms of strengthening the democracy in the region and bringing the countries from the Western Balkans closer to the EU. The exhibition“Parisian influences and the European context: Serbian fine arts 1900-1940”, presented by Tijana Palkovljevic Bugarski, Director of the Gallery of Matica Srpska, was envisaged as a cultural parallel to the upcoming Paris Summit for the Western Balkans.